Sandy’s real estate career began in Tennessee and has spanned more than 3 decades and includes 4 states. Raised in Arizona, but living in Tennessee, South Dakota, and Minnesota, she understands the challenges of relocating. 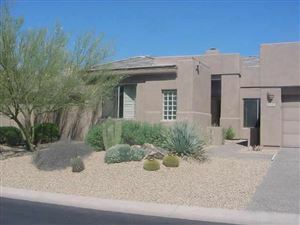 An Arizona Broker since 1999, she has been involved in marketing and selling the nationally recognized master planned communities of McDowell Mountain Ranch and Vistancia as well as new custom homes and golf course home sites. Sandy joined Coldwell Banker in 2011, and from 2012-2015 she handled the project sales for the developer selling out the community of 79 condominiums at The Village at Surrey Hills in Cave Creek. Sandy has a knowledge of all facets of real estate and experience that can assist individual buyers in finding the perfect home and provide sellers with the marketing expertise to help them sell in today's market.